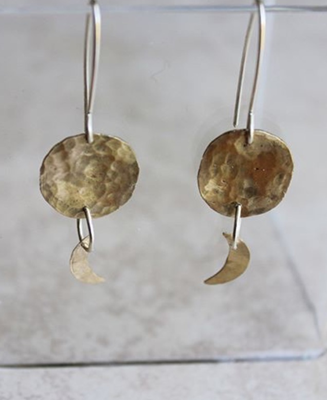 Emily Boyd Jewellery was born out of a love to create and an appreciation for handcrafted objects, Emily loves to make jewellery inspired by nature and the environment. Where ever possible, Emily uses only eco-friendly materials. This means that her jewellery is created from recycled materials and is produced in a sustainable way. This is incredibly important for Emily as a silversmith as she truly believes that as consumers and makers, we should take every opportunity to be as kind to the Earth as possible.